Join us – let’s show international solidarity in the fight for climate justice! This entry was posted in Campaign Against Climate Change, Climate Change, Solidarity, The People's Assembly Derby and tagged 29TH NOV DEMO, Climate Change, Derby, Derby People's Assembly, Derby People’s Assembly against Austerity, DERBYSHIRE, Justice and Jobs, People's March for Climate. It’s the existential threat to our species, and it bores us to tears. Admit it. You think the consequences of human-driven climate change are terrifying, but it seems too abstract, too technical and too long term. A recent poll in the US found that, while most Americans accepted that the climate was indeed changing, less than a quarter admitted to be either extremely or very worried about it. So the latest scientific reports should have the effect of grabbing us by the lapels and admonishing us for not taking it seriously enough. A whopping big glacier in Greenland is disintegrating, and fast. Incredibly, 4.5bn tonnes of ice is being lost from this glacier every single year. If it were to disappear, it alone could raise the Earth’s sea levels by half a metre. Still, my fear is we will occasionally glance at these stories, grimace a bit, and then move on to the latest snaps of Kate Middleton. Perhaps a more effective tool is a website that looks at how major cities will look after rising temperatures have done their thing. Spoiler: who fancies a swim outside the New York Stock Exchange? The truth is climate change has already given us ever more extreme weather, including intense heatwaves and rain storms. New research suggests that such heatwaves could render much of the Gulf uninhabitable without drastic measures. The singer Charlotte Church was mocked when, on Question Time earlier this year, she suggested that climate change had fuelled the Syrian war. But that is indeed what scientists themselves suggest could have happened, ahuge drought having driven rural workers into Syrian cities. This week, the US secretary of state, John Kerry, also suggested that climate change could have helped fuel conflict in both Syria and Nigeria. This entry was posted in Campaign Against Climate Change, Climate Change, Conservative Vampire Squids, Conservatives Paymasters, The People's Assembly Derby and tagged Climate Change, Derby, Derby People's Assembly, Derby People’s Assembly against Austerity, DERBYSHIRE. This entry was posted in Campaign Against Climate Change, Climate Change and tagged Climate Change, Conservative Party Vampire Squids, Derby, Derby People's Assembly, Derby People’s Assembly against Austerity, DERBYSHIRE. John Gummer – now Lord Deben – will be hosting a public meeting at Derby Cathedral at2:30pm on November 5th. 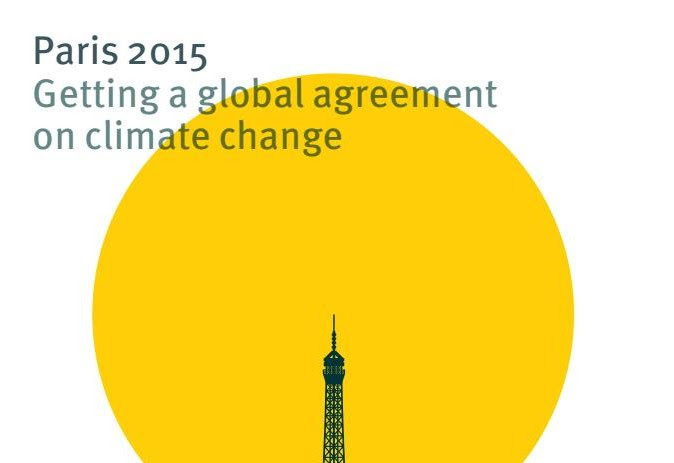 An outspoken voice on climate change, Lord Deben chairs the Independent Committee on Climate Change and will be representing the UK at the Paris 2015 conference. This is a unique opportunity to put your questions to the UK’s leading representative on climate change. It is, of course, free to attend, and refreshments will be available. 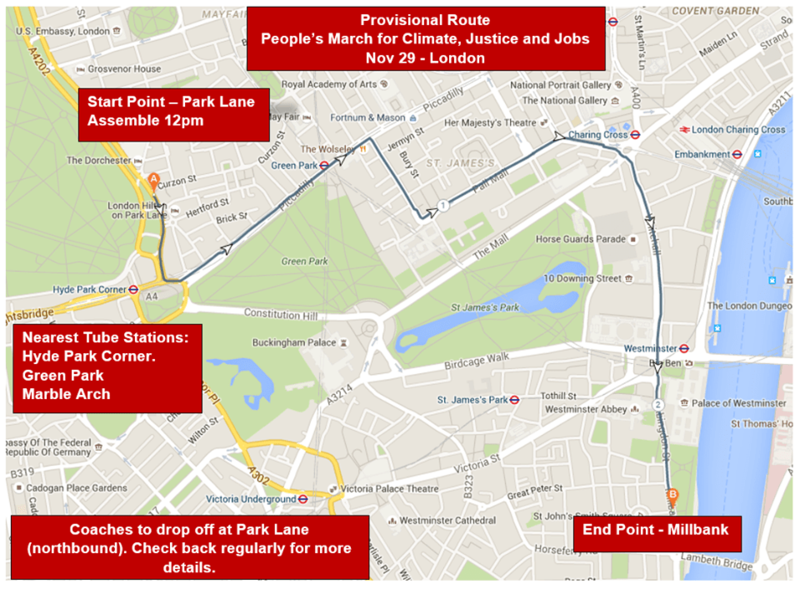 We’re mobilising for the biggest climate march in UK history. The march takes place as world leaders begin to assemble for a summit that aims to reach a strong global deal on climate. At the same time as the march in London, hundreds of thousands of people will be marching in other parts of the world from New York to Mumbai to Rio. Together we’ll show our leaders that we’re watching. The coach has been heavily subsidised by Derby Climate Coalition and we are seeking additional donations from organisations and individuals. This entry was posted in Campaign Against Climate Change, Climate Change, The People's Assembly Derby and tagged Climate Change, Derby, Derby People's Assembly, Derby People’s Assembly against Austerity, DERBYSHIRE. This entry was posted in Campaign Against Climate Change, Climate Change, Nov 29 Peoples March for Climate Justice Jobs, The People's Assembly Derby and tagged Climate Change, Derby, Derby People's Assembly, Derby People’s Assembly against Austerity, Nov 29 Peoples March for Climate Justice Jobs. Leicester-based Solar energy firm Mark Group has just announced over 900 redundancies, and it lays the blame on the doorstep of No. 11. Climate Energy has also just declared 160 job cuts across the UK. The Mark Group said: “We are extremely disappointed that the draconian policy proposals made by the government in August will essentially eliminate the solar PV market in the UK and have made our plans unviable.” A major inward investment partnership with US-owned SunEdison has also collapsed. George Osborne cant say he wasn’t warned. 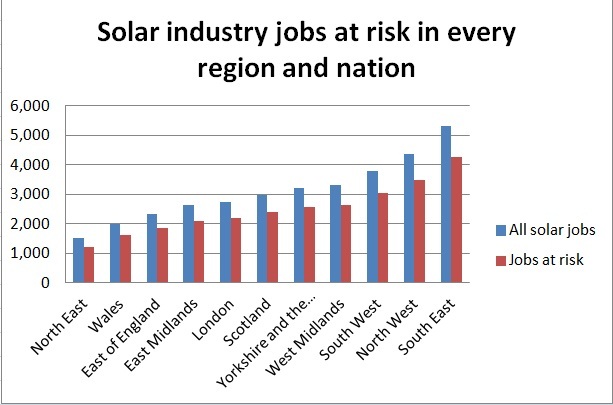 The solar trade said last week that the jobs of up to 27,000 people in the solar energy sector (out of a total of 35,000) could be at immediate risk due to the proposed 87% cut to the domestic feed-in tariff for solar energy. Similar anxieties affect the wind industry: in the last year £1.25bn was invested into the UK because of wind energy, sustaining 15,500 direct and 15,078 indirect jobs. A statement on the company’s website confirmed Deloitte LLP has been appointed as administrators and all appointments for surveys and installations undertaken by the company’s solar arm have been cancelled. It was founded in 1974, but had been badly affected by by the slow-down in the domestic energy efficiency market caused by the failure of the Green Deal energy efficiency scheme. Mark Group had high hopes once. 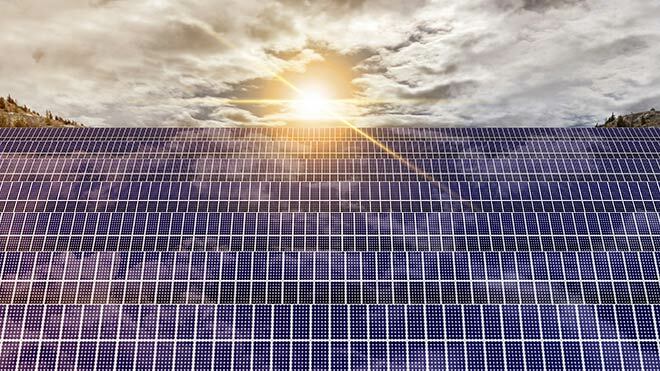 In August it struck a deal with US-based solar installer SunEdison to expand into the UK ground-mount solar sector, securing its position as one of the top-three utility, ground-mount solar players However, SunEdison announced this week it is drastically scaling back its presence in the UK following the Chancellor’s proposals to slash subsidy support for solar installations. Yesterday it confirmed it had sold the solar division back to Mark Group. This entry was posted in Conservatives, Solar Energy Redundancies, The People's Assembly Derby, X Conservative Party Paymasters and tagged Climate Change, Conservative Party Paymasters, Conservative Party Vampire Squids, Derby, Derby People's Assembly, DERBYSHIRE, Solar Energy Redundancies. Thousands have been preparing for this moment over the last week at theKlima Camp. Inspired by UK Climate Camps which were born in the shadow of the Drax coal fired power station in 2006, this temporary model of an alternative society is set up a few kilometers from the open cast mine in a supportive farmer’s field. The complex operation is self managed via daily direct democracy meetings where issues such as how not to overburden the field’s WiFi, to organising the emptying of compost toilets are discussed. The organisation is impressive, there are solar panel points to charge up mobile phones, an onsite cinema, an ’emotional first aid’ tent for those going through tough times, rows and rows of identical white workshop tents and an entire circus marquee filled with toys for children. This entry was posted in Campaign Against Climate Change, Climate Change, The People's Assembly Derby and tagged Austerity Fight The Cuts, Climate Change, Derby, Derby People's Assembly, DERBYSHIRE.